After a too-long period of no building, I’m back with a new Lego spaceship. This is the Phaladonian Science Platform “Delomitt”, named after the first scientist of that race to discover and study gravity. These science vessels study planets intensely from orbit with a wide variety of scanners and sensors. The problem with building in white is that many of my white bricks are old and discolored. And also, I don’t have a whole lot of them. But I wanted to do something other than gray. I was also wanting to do something of a different shape than usual, and got the idea of a big flat slab being pushed by a tower. Although I thought of this and started it before Nate “nnenn” Neilson passed away, he was an inspiration with his use of unusual shapes. It’s dedicated to him, for what that’s worth. This is some of my most intensive SNOT work ever. The base is aligned perpendicular to the tower (it wasn’t always like that; at first it was studs-up, and when I changed it I had two versions going at once) and the rear of the tower is again perpendicular to it (and upside-down from the base). 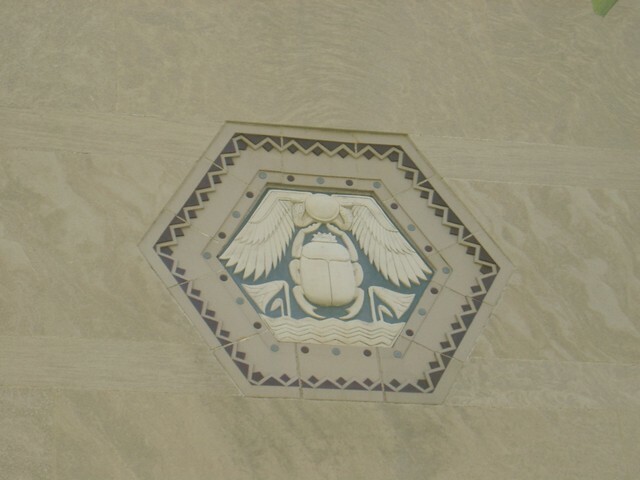 The bottom few “stories” of the tower are also upside down. This thing is wicked fragile. Entire set can be seen here. Enjoy! 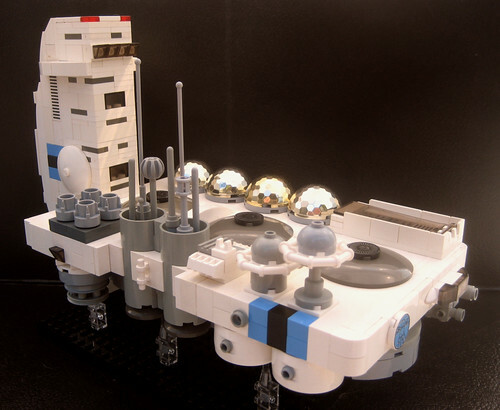 This entry was posted in Lego and tagged lego, moc, SCIENCE!. Bookmark the permalink. Lookin’ good! Well done, sir! 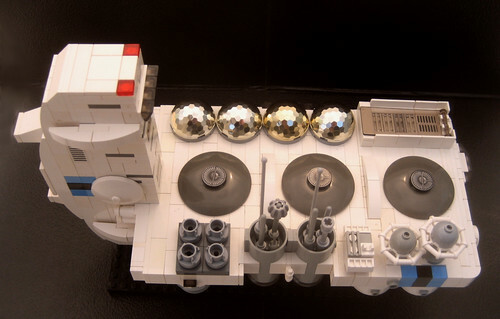 I like the inclusion of the disco balls.